You asked; we delivered! 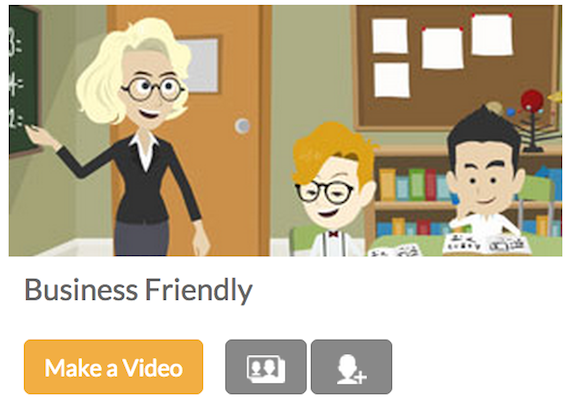 The newest theme in GoAnimate for Schools is our flagship theme: Business Friendly! This theme adds a slew of new characters, both adults and kids, and tons of additional assets! The addition of Business Friendly brings new characters into the GoAnimate for Schools video maker — including new kids, adults, doctors, athletes, construction workers, farmers, and others. The breadth and scope of the characters in Business Friendly should suit all of your needs. But just in case it doesn’t, there’s also a custom character creator. That’s right — now you can create your own unique characters, picking between hundreds of variations to hone in on exactly what you want. Election 2016 is right around the corner — and GoAnimate has you covered. We’ve added 13 new political characters — including Hillary, Jeb, The Donald, The Bern, and more — to our Business Friendly theme, with more to come as Election Day approaches. As seen in The Washington Post, all nine Supreme Court characters are also in the videomaker — plus you can create your own political players in the character creator. Want to animate a primary debate? Hoping to illustrate Hillary’s immigration proposal for a wider audience? Want your students to show their take on political policy? Go for it. 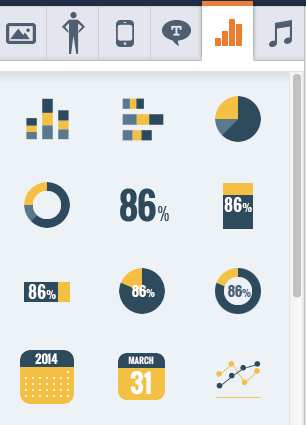 Insert animated charts and graphs into your videos with “vidgets,” our animated widgets.Customize each vidget to match your data and watch them share your charts and graphs in style. You can even set how long it takes for the graph to fully appear and deliver all the data points. 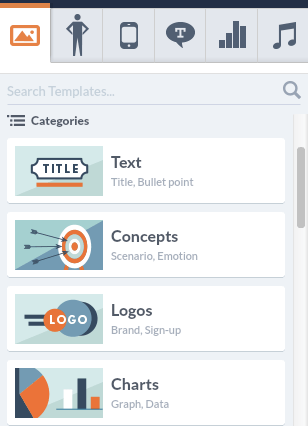 We hope you enjoy the newest addition to GoAnimate for Schools.